What started out as an opportunity to earn community service hours and fulfill part of an IB Diploma Programme requirement turned out to be an eye-opening and gratifying experience. 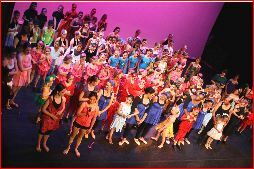 After a family friend brought to my attention that not all kids have access to dance, I realized that I could not begin to imagine my life without dance. After I made a few calls, I was referred to the coordinator of North School’s Boys and Girls Club. I recruited my friend, Ally, a fellow dancer and IB student to help me. We met with the coordinator to establish a teaching schedule: two hours a day, Mondays through Thursdays, for three weeks in July. After touring the campus, my friend and I realized that most of the children would not be able to provide their own ballet slippers. 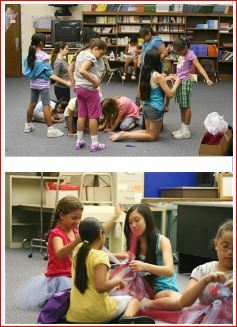 We organized a ballet slipper drive at our dance studio and made an announcement at our yearly recital. Ally and I met to make lesson plans. We decided which ballet steps to introduce and to teach our students the French terms for the ballet steps. On our first day, we encountered an unexpected situation, as the coordinator was not there. We ended up teaching in a different room and we had more girls than anticipated. Although we were stressed after that first day, we were not discouraged. Another challenge Ally and I faced was dealing with the every day drama of little girls. Some girls were not there every day, while others did not always want to participate. Despite these challenges, we finally settled into a routine, but it was short-lived. On the third day we taught, a staff member asked us if we could give a performance the following Wednesday because the cheerleading camp, that occurred simultaneously, was having a demonstration. Agreeing to do the performance, Ally and I began to think we were crazy. The girls had only had three days of basic lessons and we needed to teach them routines? We used what we knew worked, choreographing dances to Disney songs. Day one of teaching the dances was an experience similar to a train wreck. I thought to myself what a disaster the performance would be, but my hopes were revived on the second day when the girls showed more interest in learning the choreography. Teaching the routines went amazingly well on the second day…which was good, as it was the day before the performance. While standing on stage, some girls got so nervous that I thought they were going to pee their pants. I found it strange for me to offer them encouraging words, as I had always been the one who was being encouraged. It hadn’t occurred to me that a majority of them had never performed on stage before, that they had no idea what to expect. After all was said and done, they ran off the stage shrieking, because they were so excited. Besides teaching them their dances and giving the performance, we found that distributing the ballet slippers had its own problems. A lot of girls and a lot of slippers equaled a lot of chaos. 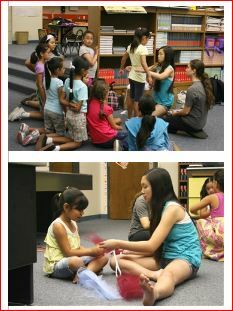 Eventually, the shoes got sorted out, and the girls immediately wanted to take the slippers home after the first day. 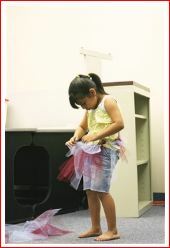 Not having learned our lesson yet, I let my mom convince me that “it would be the cutest thing ever to have the girls make their own tutus.” It was just elastic and tulle, nothing too expensive, right? My friend and I were shell-shocked after pricing out the materials; our hard-earned babysitting money would be gone. After further research, we found an inexpensive supplier. Somehow, I talked my dad into cutting up eighty yards of tulle into 24” by 6” strips. Several hours later, we were ready to create. The girls’ eyes lit up when we showed them what they were going to make. Right after they finished, they wanted to take their tutus home. Because they wanted to perform a second time before the end of their summer camp, my friend and I held those tutus hostage so the girls could wear them at the performance. A second performance meant more choreography. Both teaching them the dances and the second performance itself went smoother than the first time. 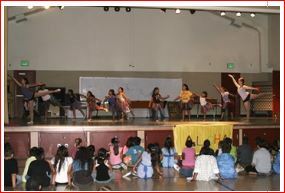 They performed their dances on the last day of the summer camp, and all of the boys, girls, and staff members were there to watch. Afterward, we let them keep their ballet slippers and tutus. As for me, I got to keep all of the memories from the past three weeks. 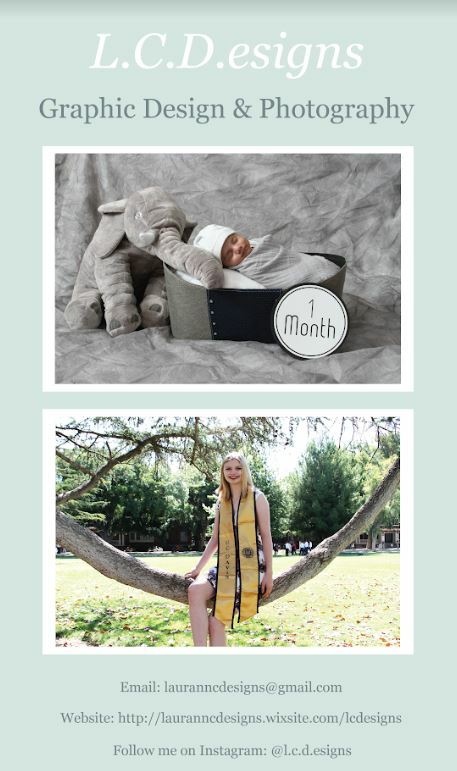 I think it was during those three weeks that I truly recognized that the potential of a child is endless. 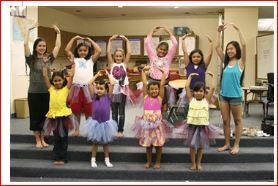 They were given the opportunity to learn ballet and to dance, an opportunity that I created. I am proud of the difference I made in their lives; what started out as a community service project turned into something much more- I learned about my own strengths and weaknesses. It’s an entirely different experience to go to ballet class as a student than to actually apply what I know and take the initiative to be the teacher. When you’re a dancer, you truly never stop learning. After a while, I felt like the girls started teaching and reminding me about what it is like to first experience dance and dream when you’re six years old. I’ve come to the conclusion that I can make a difference no matter how big or small. Even though I only made a difference to a handful of girls at one particular school over the summer, I’d love to see dance spread to the other Boys and Girls Clubs in Tracy, and eventually to other cities, states- everywhere. Any time you introduce a child to music, dance, or some other form of art, expression, or creativity, you also leave a lasting mark on their lives and how they perceive the world. 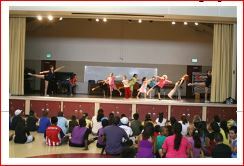 Even though many dance studios offer classes, many girls are unable to take classes due to limited family incomes. There is no way for them to even realize their love for dance unless they are somehow given the opportunity. People should take a step back and look at the needs in their community. I know that, too often, I get so wrapped up in my schoolwork and activities that I fail to look around me and observe the lives of others. Because I missed those little girls, I decided to continue teaching this school year. Although I will be unable to continue teaching ballet at the North School Boys and Girls Club when I attend college, I hope that my friend will have enough confidence to continue our efforts on her own, or with the help of other dancers. Hopefully I can encourage other dancers from my studio to help or to even volunteer at the other Boys and Girls Club campuses. Perhaps, I can even find organizations in the town where I attend college and teach there. 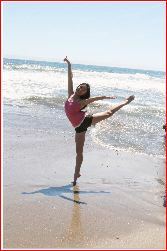 Dance is an integral part of my life, and has become a passion I want to share with others one step at a time. In the words of an unknown author, “if to dance is to dream, then you make dreams come true.” I truly believe that, through volunteer efforts and dance, I can help make some little girl’s dream come true. So, my dream and passion for dance has changed a bit. Instead of becoming a prima ballerina, my wish is to spread the art of dance into the hearts of little girls.